Peter Lancelot Mallios spoke with famous literary critic and Conradian, Edward Said, in his offices in 2003. Culture.pl presents Mallios' report and transcript of their enlightening conversation. Nearly two years ago now, I was very privileged to have one of the more memorable experiences of my life, an experience whose rarity I remember feeling while it was happening. This was the day I made a trip up from Washington, D.C., where I live, to Columbia University for an interview with Edward Said, an interview that proved to be his last. The interview was originally the product of the generosity of Andrzej Busza, who, shortly after the international Conrad conference in Vancouver that he and John Stape organised in August 2002, contacted Said on my behalf, informing him that I hoped to speak with him about Joseph Conrad as part of a volume of essays Carola Kaplan, Andrea White, and I were putting together called Conrad in the Twenty-First Century. The interview ultimately took place on 28th February 2003, and despite the fact that he had undergone a number of difficult medical treatments and a thoroughly hectoring schedule during the precedaaing weeks, I will never forget the dashing figure whose boots I first heard clumping, then shadow I saw emerging toward me, down the third floor of Columbia's Philosophy Hall: a tall, astonishingly handsome man dressed in a long camel-colored coat and a bright cherry red scarf – Said once wrote that he saw it as his moral obligation to dress against the norm – with bright black boots, a vigorous shock of black hair, the hints of a turquoise silk shirt, a slightly graying full beard and a broad smile – the very picture, it seemed to me, of perfect health, and a person whose energy was equalled only by his hospitality. He escorted me through a labyrinth of alcoves – past two older women, or so I seem to remember, who appeared to be knitting black wool; past another figure with calipers, I am all but certain, who seemed determined to measure my head for 'scientific purposes' – into the stately inner sanctuary of his office. And there we sat for the next three hours talking exclusively about Conrad – though this, of course, was essentially no limitation at all. The result is printed in Conrad and the Twenty-First Century - with the exception of the fragment that appears at the end of my brief introductory remarks below. This fragment is how the interview actually began, and its subject, in Said's own turn of phrase and at his own request, is what being a 'Conradian' had meant to him: i.e., the people he had met, the places he had been (especially Poland in 1972), the 'worldly' circumstances and 'contrapuntal' exchanges that were the consequences of his travels with Conrad. For my part, if I have begun my comments in narrative form, it is because this is a space I do not want to lose touch with entirely. Storytelling, as Walter Benjamin emphasises and as readers of Conrad know too, is a curiously experiential form of expression that takes its meaning as much outside the tale in the community of speakers and listeners that it generates and presupposes as it does inside the words of the tale itself. So too Said, in his famous 'Joseph Conrad: The Presentation of Narrative' essay, which was printed in The World, the Text, and the Critic (1983) but whose original Polish circumstances of delivery he describes below, emphasises the self-conscious contextuality of so many of Conrad's tales: the fact that they are generally very carefully dramatised, in one way or another, as being told in a certain place and time and to a certain audience, giving rise to a double-frame in which the ostensible 'story' is persistently juxtaposed with questions of the circumstances of its consumption and experience. What I suggest in the following is that this kind of doubleness is crucial, even foundational, not only to Said's interpretation of Conrad but to his greater intellectual relation with Conrad: which began, as a matter of Said's published work, with his first book, Joseph Conrad and the Fiction of Autobiography (1966), and continued in strikingly diverse and resonant ways throughout much of what Said felt and wrote thereafter. If the making of this argument gives rise to an occasional storytelling impulse in me, you must believe me that this is not preciousness on my part; rather it is the only way I have found myself able to articulate an insight that for me came principally out of the experience of the interview itself. Once one starts looking, there are in fact extensive relations of continuity and correspondence – e.g., of sceptical temperament,3 multiply duplex identity, technical virtuosity, sensory and experiential insistence, institutional suspicion and resistance, simultaneously experimental and preservationist impulse, and more – that run between Said and Conrad, all of which can become a bit overwhelming, as each additional increment of consideration contributes a new and vital thread to a web of continuities that seemed so self-sufficiently woven the moment before. It is only recently, for instance, in light of Said's final book, Humanism and Democratic Criticism (2004) – a posthumous collection of lectures specifically addressing 'American humanism' and the state of the humanities in the United States, where 'I have lived for the majority of my adult life, and for the past four decades... have been a practising humanist, a teacher, critic, and scholar. That is the world I know best' (1) – that it becomes explicitly apparent how important Said's U.S. location may have been to his investments in Conrad. The tenacity and compulsiveness with which Said returns to Conrad during his forty years of writing, it now seems especially clear, has been powerfully informed by the resonant analogy between Conrad's living near the centre and as an alien subject of the 19th-century British Empire, and Said's similar circumstances at the metropolitan centre of the latest Empire on which the sun perpetually rises. I quote this passage at length because even though it does not explicitly refer to Conrad at all, it not only articulates a conception of the contrapuntal that helpfully frames Said's relation to Conrad (curiously recursive but also subversive, studied yet free, multi-vocal but not unison); it also exemplifies their contrapuntal relation. Consider, for instance, that from the perspective of 'strict imitation' and precise engagement, it is difficult to imagine a more Conradian passage than one that (a) prioritises music above all other arts (see NN ix); (b) walks a fine line between deep and disciplined attention to the 'rules and monuments' of the past and the need ultimately to abandon them to pursue 'the stammerings of [one's] own conscience' (NN x-xi); (c) recognises, in the words of Conrad's very famous letter to Barrett Clark on May 4, 1918, that 'a work of art is very seldom limited to one exclusive meaning and not necessarily tending to a definite conclusion', the more so 'the nearer it approaches art' (CL6 210-11); and (d) insists, as Conrad does in one of the most famous letters of them all, that history and its interpretation are processes of ever-ongoing, agonistic 'irreconcilable antagonisms' (CL2 348). Yet at the same time, this hyper-Conradian passage – this passage which, 'in the rhetorical sense', could very well be described as 'invented' by Conrad insofar as it has little vocabulary not heavily pre-articulated and mediated by him – never would or could have been written by Conrad himself. Its immediately and aggressively didactic purposes; its interventionist political spirit; the kind of leftist, anti-nationalist, and anti-imperialist politics on which its is predicated and that it extends; even the utopic conception of the university that is its animating circumstance – all these are not simply a departure from Conrad; they are the positive and counter-pointed undoing of premises as fundamental and integral to Conrad's writings as the ones Said extends. There is, then, a curious doubleness in Said's negotiation of Conrad that is its own kind of 'irreconcilable antagonism': an intimacy so fundamental that even when Conrad is not intended, he is implicitly and extensively evoked; and at the same time, a distance so pronounced that Conrad's very limitations and opposition seem to offer up the foundational opportunity through which the signature elements in Said's voice, values, and vision emerge and define themselves. It is no coincidence, then, that many people who are not Conrad or anglo-postcolonial literary scholars are surprised to discover that Said wrote his first book on Conrad – and generally assume that to the extent Said's work bears relation to Conrad at all, it is one of repudiation. This is not the product of not knowing Said well, so much as knowing half of him too well. Similarly, Said's own interpretations of Conrad are continually – paradigmatically, I would say – couched in a rhetoric of division that replicates the duality of his own overarching stance toward Conrad. So too, in a slightly different key, the 'Presentation of Narrative' essay in The World, the Text, and the Critic turns on the element of contingency that runs throughout Conrad's fiction: each story (in one way or another) carefully set and situated in the circumstances that give rise to its articulation (if only in the Author's Note), precisely to emphasise the tremendous discrepancy between the invariably elaborate 'tale' that finds itself presented for certain listeners, and the vast swathes of occluded reality and voice that are kept outside the charmed circle of speaker and listener (90-100). Edward Said: And yet – and this is the other part of it now – I have a feeling that Conrad and I would never, could never be friends! The analogy of Cunninghame Graham, the one friend with whom Conrad may have had the truest5 line of communication, is revealing – and we will return to it in a moment. Here, though, an important point to consider is that there may be an element of over-determination in the aggressively contrapuntal stance Said assumes toward Conrad: whose form is all too frequently the irreconcilable poles of absolute vision and sympathy on the one hand and complete blankness and blindness on the other. Consider, for instance, Said's eloquently dual description of Heart of Darkness. Conrad was 'so self-conscious' – indeed, 'What makes Conrad different from the other colonial writers who were his contemporaries is that... he was so self-conscious about what he did' (23) – that he is able to point to the very vast historical vistas that his culturally-determined and equally absolute blindness force him to leave 'empty'. Similarly, Heart of Darkness, despite its 'immensely compelling' (23), 'remarkably disorienting' (29), and unstintingly relentless (29-30) critique of Western imperialism and its Eurocentric apparatuses, cannot see beyond an imperialist frame, cannot recognise that what it registers 'as a non-European 'darkness' was in fact a non-European world resisting imperialism so as one day to regain sovereignty and independence' (30). Benita Parry, in a recent essay that may inaugurate a sea-change in contemporary criticism on Heart of Darkness, has explicitly challenged this view of 'Conrad's 'Africa' ' as 'a world immutable and epistemologically empty' (41), arguing that in its self-conscious gaps, repeated expressions of bewilderment, and signature hermeneutic breakdowns, 'the book alludes to a reality that lies beyond its own epistemologically constrained field of vision' (50), registering Africanist contact and inviting postcolonial re-writing. I would add, moreover, on the model of Melville's Benito Cereno – where the emphasis falls on the white narrator's perceptual limitations in direct relation to the agency and intelligence of the subversive black characters – that the scene that Marlow describes as 'quite a mutiny', where after much verbal abuse from Marlow the impressed African slaves run the hammock carrying Marlow's sickly 'white companion' into a bush (HD 71-72), and also the scene in which the 'screeching', abused, and unrepentant African slave burns down the Central Station's grass shed (76-78) – these seem to me, whether Marlow understands this or not, very plausibly readable as precisely Conrad's recognition and disclosure of the 'non-European darkness' as 'in fact a non-European world' very intelligently and deliberately 'resisting imperialism so as one day to regain sovereignty and independence'. My point, though, is not to open and enter the very complicated, important, and probably irresolvable issues of the degree and manner of Heart of Darkness's investment in racism and imperialism, nor to quarrel with Said on a point (Parry's and mine) that I suspect he would acknowledge (for it is one of degree and subtlety), and which indeed seems to me not only in the general spirit of but ultimately made possible by the 'second vision' he observes in Heart of Darkness. My point, rather, is the element of categorical over-determination that finds repeated articulation, like a cantus firmus, in Said's baseline formulations of what Conrad can and cannot see. Africans in Joseph Conrad's Books: What Do They Really Say? What I learned through the experience of the interview is that there is a logic, a purpose, and a significance behind this production of the contrapuntal – which, as I have already suggested, I believe derives from Said's engagement with Conrad as not simply an object but an internalised mechanism of (self-)critical inquiry. From my perspective as interviewer, the crucial moment of the interview happened early, when we felicitously stumbled onto the subject of Conrad's Victory - which I had just finished editing, and which Said was immersed in pondering for a book he was writing on 'late style' and 'late work' generally. The experience of listening to these words was, in a word, transporting. Between the complex thoughts and juxtapositions and the spontaneous peals of eloquence in which they were expressed; between the serendipitous joy of talking about Victory (it is a novel of controversial status I had by no means expected to discuss) and the dawning realisation that the pathos of this scene (in which there was absolutely no sentimentality) was that of a man confronting a savagely disappointing world (this was three weeks before the U.S. invasion of Iraq in March 2003) and the cruelly premature arrival of a 'late' period in Said's own life through the prism of 'late' Conrad, holding himself to its standards of unrelenting, defiant, and unreconciled ethical and intellectual integrity – I felt literally expelled from my body and mind; I was both in and above the room; I was absorbed by a voice whose perfect understanding both surrounded and completely escaped me. I was so absorbed by this simultaneously overfull and curiously evacuated experience, in fact, that it was not until the next day that it occurred to me that my own reading of Victory – which I was quite proud of as I had spent three months working on it; it turns on the new 'poetics of democracy' Victory inaugurates in Conrad's work as a function of the new public, popular, and outwardly-directed emphases and authorial circumstances of that novel6– was very much the opposite of Said's. Indeed, even more strange was the fact that the 'outward' and 'democratic' emphases of my own argument were actually derived at least in part from Said's earlier work – though this connection too was strangely unavailable to me in my moment of absorption. But most of all, in the light of retrospection, I was struck by the difference between my own evacuation in the seductive presence of Said, and the queer contradiction through which Said's equally absorbed and seduced turn to Conrad produced the terms of his own critical self-declaration and expulsion. For, turning to Conrad – and in particular, the 'late' Victory – as a standard of 'unreconciled' intellectual integrity usque ad finem, Said profferred an interpretation of Victory – correct by any lights: 'about withdrawal – from the world, and also the failure of that project' (286) – whose terms are the precise opposite, the very overdetermined rejection, of the fundamental political convictions through which Said, to the end, defined himself. Nothing could be further, that is, from the attitude of resigned fatalism and skepticism (with respect to any constructive human activity) that initiates and is confirmed by Victory's fantasy of withdrawal from the world, than the man who five minutes after parsing Victory in this way advised academics to consider the following. I think a reinvigorated attitude toward the humanities and toward the practice of humanism is the key [to the future of the university]. Its major component is re-appropriating agency – from globalisation, from the military-industrial complex, from institutions, from everything that threatens the university, which I consider a utopic place. I believe in the importance of rethinking the relationship between these forces and the university as not one of complementarity but rather antagonism, and of taking the fight out there – in an unreconciled way. This was an interview about Conrad, one recalls; and my point is that the singular intimacy of Conrad seems to lie in the doubleness through which Conrad provokes his own refutation. The allure and utility of Conrad for Said – whose symptoms are the overdetermined categories into which Conrad becomes grouped by Said – emerge as a function of both the capacious sympathies and the necessary expulsions through which Said himself takes critical measure of the most instructive model he has for 'beginning': through which Conrad provokes, dares, and forces Said to declare himself. This point was elaborated with one further wrinkle as we turned to Heart of Darkness - though the interview went on to cover many more texts and issues. Fortunately for me, Heart of Darkness was a text I was less captivated by at the time than Victory; so, as Said began a string of truly Olympian claims about the novella – 'The intensity and power of what Conrad jams together is really unparalleled, I think, in the world of literature' (288); 'It provides perhaps the most influential portrait of a continent ever done – in history' (288); 'It's just a miraculous thing. You might say that it's Conrad's fortunate fall, more so than anything that comes before and anything that comes after' (288) – I was able self-consciously to appreciate the sheer force and eloquence of his words and presence. This time within the room rather than above it or looking back on it, I listened as Said spoke in magic cascades of language about the novel's compulsive power: how it has 'compelled many, many others to write in its wake'; how V.S. Naipaul was 'spellbound by the thing'; how even Chinua Achebe 'can't stop talking about it, and he can't stop writing about it' (288-9). I remember being struck by the analogy between these 'spellbound' writers (including Said) and Conrad; Marlow and his own compulsive quest for the charismatic Mr. Kurtz in Heart of Darkness; and the two months I had just spent in Washington (it was a fiercely cold winter in this 'sepulchral city'; Capitol Hill, where I live, was barricaded like a police state; Republicans and Democrats alike were beating the drums for war) deriving perfectly irrational sustenance from the idea that despite these depths of utter darkness I was headed for a talk with Mr. Said. And there he was: a 'great presence' and remarkable 'voice' before me; someone one who was going to 'enlarge my mind' and 'make me see things'; a product of 'all of Europe' and then some, who could have been a politician (probably an extreme one) and actually was a kind of journalist and a great musician too; someone you didn't talk with but listened to, a 'remarkable man', a force of vast power, charisma, and insight who certainly had the power to kick me free of the earth, whom I was burning to declare loyalty to, and who was somehow going to explain, justify, and reconcile for me how on earth one could be a professor of literature in these times of infinite political darkness. In other words, I became viscerally convinced of Daphna Erdinast-Vulcan's claims, in her important contra-Lacanian essay 'Heart of Darkness and the Ends of Man', that desire is a force whose constitutive basis is a yearning for law rather than against it, and that Heart of Darkness is a text that may be read as mapping out a commensurate will, in the form of Marlow's relation to Kurtz, which was also mine to Said, for a guiding, authoritative, totalising force. But not so, at least in the end, Said's relation to Conrad. For whatever totalitarian and totalising attractions the intimacy and authority of Conrad presented to Said (and as we have seen, there were many), the distinctive and energising note of their relation – what makes Said talk in such glowing terms about Conrad – is the dialectical mechanism, what Said would call the secular mandate, through which the very intimacy of Conrad requires a critical and self-defining gesture of difference – and defiance. This is what Said means when he describes Conrad as 'a constant challenge' ('Traveling' 289) – a sort of 'irreconcilable antagonism', hedged against temptations of totality and absorption, from within. Said understood Conrad as an exile, as someone like himself who was perpetually 'out of place' and who could contribute a point of view from the perspective of displacement, disempowerment, discursive resistance, and misrepresentation. Through this sympathy, there emerges a consistent Conradian vein throughout Said's work: in the Fiction of Autobiography book, which draws on phenomenology in an attempt to place and articulate Conrad as an alienated subject; in Beginnings, a deconstructive study that highlights Nostromo in studying the discrepancies between discursive 'records' and displaced 'origins'; in the 'Presentation of Narrative' essay, a further investigation of Conrad to confront the animating contexts and realities that find themselves occluded through the written word; in Orientalism and the books on Palestine, which frequently reference the passage in Heart of Darkness concerning the 'redeeming' power the 'idea' to highlight the legitimating and eliminating power of Orientalist, Western, and anti-Arab narratives; in Culture and Imperialism, which in significant part turns on the thought-experiment of moving Conrad to the centre of British literary canon to reveal the centrality of imperialism to that tradition and to recover the marginalised voices existing in apposition to that project; and in Reflections on Exile, which begins with and is itself a vindication of the 'door first tried by Conrad'. All of these texts share a fundamental coordinate of displacement; they all depend on the 'extraordinarily persistent residual sense of his own exilic marginality' (Culture 24) that made Conrad's angle vision especially useful to and resonant with Said – pressing him on, in an almost Kurtzian spirit of defiance, in what I take quite seriously as Said's 'lifelong struggle and attempt to demystify the capriciousness and hypocrisy of [any] power whose authority depended absolutely on its ideological self-image as a moral agent, acting in good faith and without unimpeachable intentions' (Out 230). The title of Said's autobiography is not an expression of empathy with Conrad; it is an expression of being displaced from the displaced intimacy of Conrad – and the beginning of the contrapuntal relation through which Said's work and person will declare themselves. PM: Perhaps a good way to begin this interview is to ask about your experiences in the world of Conrad and Conrad scholarship. Would you say a bit about your interaction with other Conrad scholars over the years, and how it may have impacted your own thinking and writing? ES: Morf!! Yes; I'm trying to think who else was there from the legendary figures. Ah, sorry, there was certainly one last person: Borys Conrad, who I discovered later had been discovered by the Poles about that time. They brought him to Poland with his girlfriend, an elderly English lady; and it was then that I had a chance to talk to him about people like Ford Madox Ford and his father and his mother. He seemed to be closer to his father than his mother at the time. PM: Let's talk a bit more about the legendary individuals you just mentioned; Borys and Morf. First, what do you remember about Morf? ES: Yes, Gustav Morf was a rather taciturn – I don't want to use the word rough – but there was something slightly off-putting about him. He seemed to be a bit on the reclusive side; I think he had problems with the language. I believe he was Swiss, and he was certainly a man of few words. He wasn't really a Conradian but rather a psychologist. And I remember clearly one thing he said to me directly. Now you understand this occurred when we were in Cracow at the time of the Palestinian attack on the Olympic Games. And he said: 'They are killing people in Munich!' – pointing to me. And I of course didn't know what he was talking about, because we were in Cracow and everything was written in Polish. And then I went into the television room where, of course, the Polish news was going on, and then I saw the symbols and the pictures and all the rest of it. And then the next day he came up to me and he said: 'They're now bombing in Lebanon!' – which is where I had come from because it was in the late summer, and I normally spent the summer in those days in Lebanon. Besides that he really had very little to say. The style of the program was that we all met in Warsaw, and we were all staying in the same hotel – the big one: the Bristol or the Europejski – in the middle of unreconstructed Warsaw. I remember the food as being the opposite of the company – generally execrable. They would feed us a set menu every night including spaghetti and potatoes – or rice and potatoes, and some indescribable meat. The first night I got there I remember Ian Watt – this was really my first introduction to Ian – was quite upset by the fact that there was no vodka to drink. He went up and quarrelled with the waiter and the waiter said, looking at some list, 'But it doesn't say you can drink vodka; it says you're supposed to drink wine'. And he said: 'I don't want wine, I want vodka' – and so then there was this great fracas about vodka. He then went to something called a Red Star shop where you paid hard currency – he went and bought a bottle, in dollars, in zlotys rather. And so we had vodka, thanks to Ian: he was quite a presence. But what I wanted to say was, for me, that this was one of the great experiences of my life: being in Poland – because two of the people I venerate the most are not only Conrad but also Chopin, whose birthplace, of course was in Poland. PM: Did you go to the monument in Łazienki Park? ES: Yes, of course, and then there was a concert of Chopin – chamber music actually – which I went to twice, once in Warsaw, once in Cracow. This was the first time I really heard 'The Trio' played, for I don't think there was a recording of it available at the time, over forty years ago. Chopin wrote a trio for violin, piano, and cello, and this one is called the Cracow Trio. So I must tell you about the end of this trip. We went everywhere: we went to Warsaw, we went to Cracow, we went to Gdańsk, and we went to Zakopane. It was extraordinary – and so too were the politics and people. The person who invited us to all these places was a member of the Polish Academy of Sciences [Mieczysław Brahmer]; then the person who actually coordinated the whole Conrad enterprise was a chap called Leszek Prorok. There was also a woman professor whose first name was Róża – I can't remember her last name [Jabłkowska] – but she and I became very good friends, and I liked her, and I had a pianist friend from Lebanon who went to Poland a few months later and they got to be friends. There seemed to be a conflict between the Polish Academy and these two people who were not Communists, but rather described themselves 'Catholic' which meant in those days that they were not members of the Party – I don't know if they were Catholic, maybe they were. So we were 'up' in the sense that we were guests of the Polish Academy, which is a very prestigious thing, but we were not quite at the level that you describe: that obviously came later.8 This was the beginning, you understand, of the Conrad 'rediscovery' in Poland: his works were still not all translated. PM: Was Conrad, then, for those of you who were at this conference a kind of lingua franca for all the various political issues that were going on at the time both inside and outside Poland? ES: Very much so. Especially for Najder. Najder was quite a presence; I had met him before, as I said, and he had spent time at Oxford; and he was interested in philosophy and other things. It was quite clear that he too was a member of some sort of resistance to the CP. I don't think he had yet become close to Wałęsa – as, of course, Solidarity had not yet emerged at the time – but in nutre it seemed to me to be there. I also got the curious impression that the people who were most anxious to see us were not so much the young people but old people, who represented the ancien régime and spoke French, for example: who knew Conrad originally, in other words, as people who were well educated, who had spent time in English universities, for example, before the War. But I must tell you about the formal proceedings of the conference itself. One thing that struck me at the time was that for every session of the seminar there was always a presidium. So they had two, three people sitting up on the platform, and sometimes one of us would be asked to be a member of the presidium; we did nothing, except we sat there and it looked kind of official. But my contribution was made in the most – for me, I was thirty, thirty-five: quite young anyway – astonishing circumstances. Everyone gave a talk somewhere, and my turn was in Cracow. My talk was the one that appears in The World, the Text, and the Critic: it's the one about the settings. But I gave mine in Copernicus's library in Jagiellonian University in Cracow: an immense thrill and honour. It was great, wonderful library, ten times the sise of this.9 But they had no electricity, and I read my talk as it were by the light of a candelabra, sort of like – Liberace playing the piano. I remember that Ian was the discussant of my talk. He hadn't read it before, but he was very perceptive, extremely attentive, in the riposte that he gave. It helped me a great deal in formulating precisely what I was talking about. And in general the discussions were quite animated also because of the presence of somebody I forgot to mention but who is now passed away: Eloise Knapp Hay. She had reviewed my book shortly before the conference rather badly – pointing out all the mistakes I made and what not – and she was very Christian and extremely right-wing, but we became quite friendly. PM: I have a question about the piece you just referenced in The World, the Text, and the Critic. To be honest, it has always mystified me because, or so it seems to me, there is a peculiar reticence about it. You build in the essay toward a climactic argument about how orality in Conrad serves as the negation, on Freud's model, of writing; but precisely as you make this argument, it seems to me that you leave the underlying ballast of your argument – where, in a worldly and material sense, it's coming from, and what the implications of the argument might be hidden. ES: (laughing) You know, I don't think – I haven't really read it for a long time, so you might be right. I thought it was one of my rather more important discoveries about Conrad! I don't think that anybody had ever noticed that before; and it struck me as a strange phenomenon that he was so meticulous about setting the stage for each of the stories; you remember that was my principal point. But then I found myself drifting, which is what Ian thought too, into people like Mallarmé and Freud – and he wanted to know about that and I just made it more explicit. I don't remember what conclusion we came to, and perhaps, it was a time in my life when I was steeped in a huge number of different things. I was still coming out of Beginnings, which was just about finished that time. It was the year I was on sabbatical in Lebanon. I'd never really written at all in Lebanon, except for in the summer; I got married to my Lebanese wife in 1970, and I got this Guggenheim and a sabbatical from Columbia in 1972-73; we had already arrived in Lebanon for the year, and I came from there to Poland by Lot, the Polish airline. And as I was saying I was steeped in a lot of different things: I had started to work on what would become Orientalism, and I was still very concerned with issues of structuralism and poststructuralism and Freud and some of the issues in Beginnings, which I hadn't quite finished it yet, I finished it that year – so maybe there were currents and too much issues that didn't get resolved into the matter I was dealing with. PM: Please believe me: what I was saying was not a criticism of the piece but rather the feeling that you had come up with a vocabulary to articulate a number of different issues in Conrad that left its animating coordinates undisclosed. ES: Yes, right well exactly: I think you're right, I think that's true. But you have to understand, I have to tell you from now, that I am very far away from all that stuff. I mean I haven't really looked at it in years. But in talking to you things do seem to flood back. Benjamin, Walter. 'The Storyteller'. Illuminations. New York: Schocken Books, 1968. Dewey, John. Democracy and Education. New York: Macmillan Co., 1916. Erdinast-Vulcan, Daphna. 'Heart of Darkness and the Ends of Man'. The Conradian. 28.1 (Spring 2003): 17-33. Hitchens, Christopher. 'Introduction'. Peace and Its Discontents. By Edward Said. New York: Random House, 1995. Kaplan, Carola, Peter Mallios, and Andrea White. Conrad in the Twenty-First Century: Contemporary Approaches and Perspectives. New York: Routledge, 2004. Mallios, Peter Lancelot. 'Introduction'. Victory. By Joseph Conrad. New York: Modern Library, 2003. _____. 'Declaring Victory: Towards Conrad's Poetics of Democracy'. Conradiana. 35.3 (Fall 2003): 145-83. Melville, Herman. Benito Cereno. New York: Dover Books, 1998. Parry, Benita. 'The Moment and After-Life of Heart of Darkness'. In Conrad and the Twenty-First Century 39-54. Said, Edward W. Humanism and Democratic Criticism. New York: Columbia UP, 2004. _____. 'Traveling with Conrad: An Interview with Edward Said'. In Conrad in the Twenty-First Century 283-304._____. Reflections on Exile. Cambridge, Mass. : Harvard UP 2002. _____. Power, Politics, and Culture: Interviews with Edward W. Said. Ed. Gauri Viswanathan. New York: Random House, 2001. _____. The Edward Said Reader. Eds. Moustafa Bayoumi and Andrew Rubin. New York: Vintage Books, 2000. _____. Out of Place: A Memoir. New York: Vintage, 1999. _____. Culture and Imperialism. London: Chatto, 1993. _____. The World, The Text, and the Critic. Cambridge, MA: Harvard UP, 1983. _____. Orientalism. New York: Pantheon, 1978. _____. Beginnings: Intention and Method. New York: Columbia UP, 1975. _____. 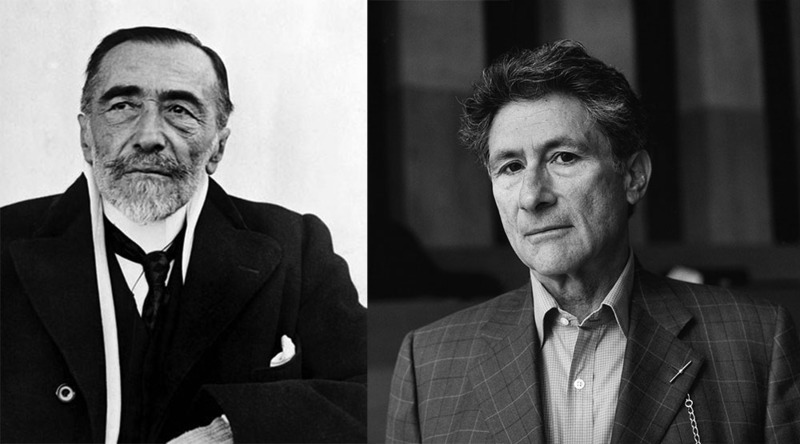 Joseph Conrad and the Fiction of Autobiography. Cambridge, MA: Harvard UP, 1966. Mallios, Peter Lancelot. 'Introduction'. Victory. By Joseph Conrad. New York: Modern Library 2003. _____. 'Traveling with Conrad: An Interview with Edward Said'. In Conrad in the Twenty-First Century 283-304. _____. Reflections on Exile. Cambridge, Mass: Harvard UP 2002. Watts, Cedric. Joseph Conrad's Letters to R.B. Cunninghame Graham. London: Cambridge UP, 1969. Watts, Cedric. Joseph Conrad's Letters to R.B. Cunninghame Graham. London: CUP, 1969. 1 For compelling expressions of intimacy with Conrad through the idea of exile, see, in addition to the Reflections essay quoted below, Said, Power, Politics 75-76, 246; Said Reader 421. For more on filiation and affiliation, see Said, World, Text 16-25. 2 See, respectively, 'Joseph Conrad: The Presentation of Narrative', in World, Text 90-110 [as I suggest below, this essay is easily read implicitly in terms of the issues of imperialism Said was contemplating at the time and would explicitly incorporate into his literary analysis of Conrad later]; 'On Lost Causes', in Reflections 527-53; Orientalism 216, 242-3, 324-5 and Beginnings 100-37; Culture 22-30, passim. 'Irreconcilable antagonisms', of course, is a signature Conradian phrase (CL 2.348) - but as Said points out, it is an important phrase for him too ('Traveling' 299). See also Said's first book, Joseph Conrad and the Fiction of Autobiography, and his political books on Palestine, which make occasional but meaningful reference to Conrad, most often with respect to Marlow's invocation in Heart of Darkness of the redeeming idea (YOS 51), which is for Said a kind of master-image of what Foucault calls 'regimes of truth', and what Said calls 'Culture' in its instrumentalizing relation to imperialism. Compare finally, with respect to Said's longstanding and trenchant interest in Nostromo, Christopher Hitchens' polemical but provocative speculation in his Preface to Said's Peace and its Discontents (1996): 'it is my speculation that every line of Edward Said's political work, since at least 1967, has been explicitly concerned with preventing the replication among Palestinians of the banana-republic style and method that has become so dismally familiar in the Arab world' (xix). 3 See 'Conrad and Nietzsche', in Reflections 70-82. 4 This is the principal argument of 'Two Visions in Heart of Darkness' (in Culture 19-31) and 'Through Gringo Eyes: With Conrad in Latin America' (Reflections 276-81). 5 I do not mean to lapse into fictions of 'authentic' or 'essential' self here. 'Truest' is short-hand for a distinctive lack of anxiety, a combination of candour and a distinct pairing of intellectual and expressive audacity, that experienced readers of Conrad's correspondence, beginning with Said (his first book on Conrad is the first sustained critical consideration of Conrad's letters) but especially after Cedric Watts' Joseph Conrad's Letters to R.B. Cunninghame Graham (1969), generally recognised to exist in the letters with Cunninghame Graham. 6 See Mallios, 'Introduction' and 'Declaring Victory'. 7 Said quotes this letter at even greater length in Joseph Conrad and the Fiction of Autobiography 32-33. 8 Before the interview started, I had described the 'Conrad and History' conference organised by Zdzisław Najder and held in Cracow in 1999. It was introduced by the British Ambassador to Poland, a representative of the Ukrainian Embassy, and the Mayor of Cracow, in a celebratory year in which Cracow had been declared one of the thirteen great cities of the world. 9 Referencing the remarkable library of his own office, many yards across and with a series of ladders towering up to a vaulted ceiling across endless rows of books, in which we were sitting.